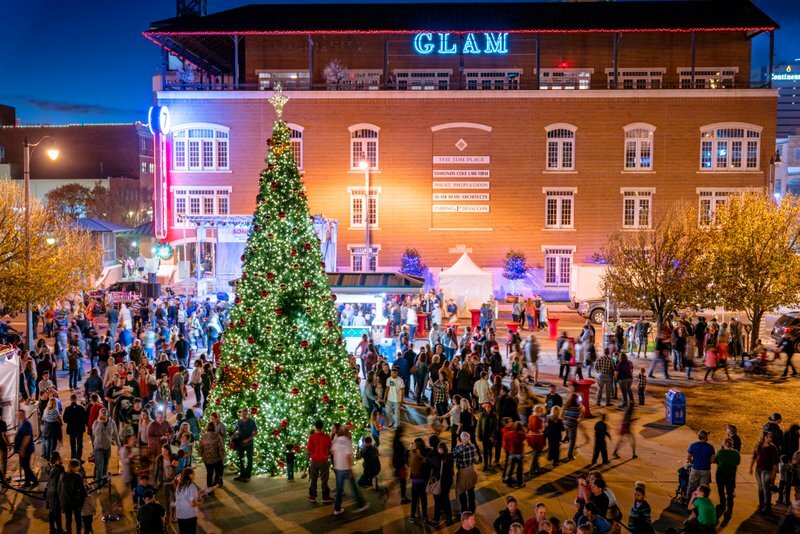 Downtown in December presented by Devon, is a series of holiday events and attractions in the heart of Oklahoma City running November 2018 all the way through January 2019. It’s a one-of-a-kind winter experience that features thrilling outdoor ice skating, a tree lighting festival, afternoon visits with Santa Claus, a festive holiday run, snow tubing, free water taxi excursions, performing arts, shopping, and parties… all surrounded by twinkling holiday lights. The Myriad Botanical Gardens has a packed lineup of activities throughout entire holiday season! First and foremost, don’t miss the thousands of spectacular lights throughout the exterior and inside the Crystal Bridge. 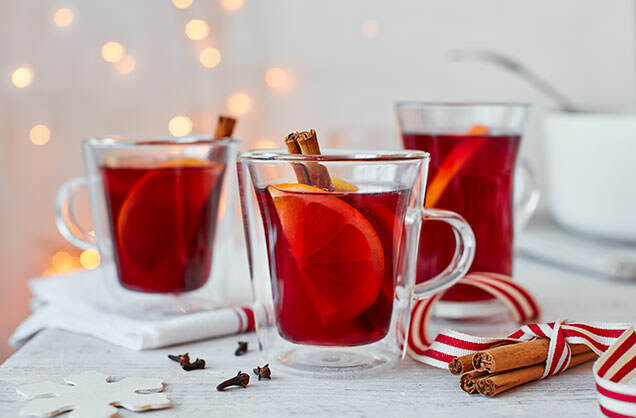 Afterward, head to the Devon Ice Rink at the Gardens for a night of ice skating below the lights. The Devon Ice Rink and Oklahoma Curling Club will also be offering curling lessons! Head to the website to view all of the garden’s events and schedules. What is more romantic than floating down the beautifully-adorned Bricktown canal? On designated evenings throughout December, enjoy a narrated and holiday-themed free Holiday Water Taxi ride. All of the canal’s holiday decorations will be visible on the tour. They will begin at the main Water Taxi dock on canal level, below the entrance to Mickey Mantle's Steakhouse, and will run on a continuous loop through Bricktown, turning around near the Residence Inn by Marriott (in Lower Bricktown), and returning to the loading dock. The Bricktown Canal Lights display will brighten your Bricktown experience. 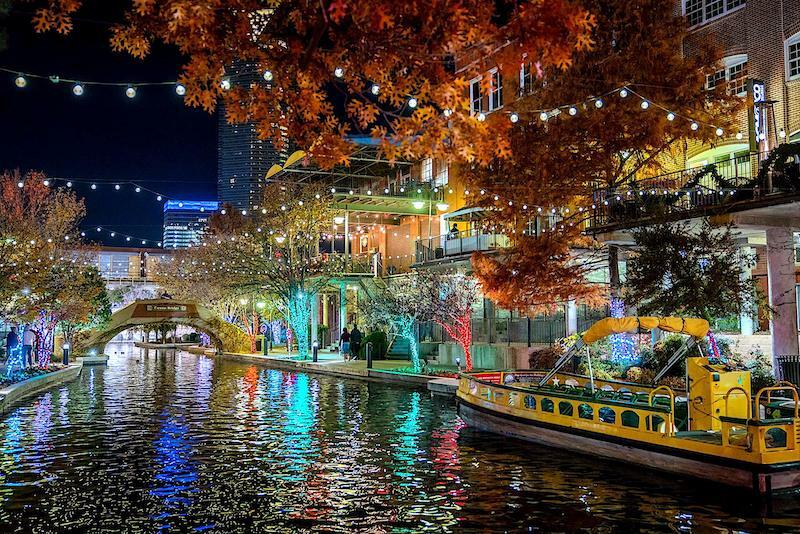 As you stroll the canal, enjoy the dining and shopping along downtown OKC's premier entertainment district under the gorgeous holiday lights. The light display is free to the public. November 23rd, 2018 through January 1, 2019. 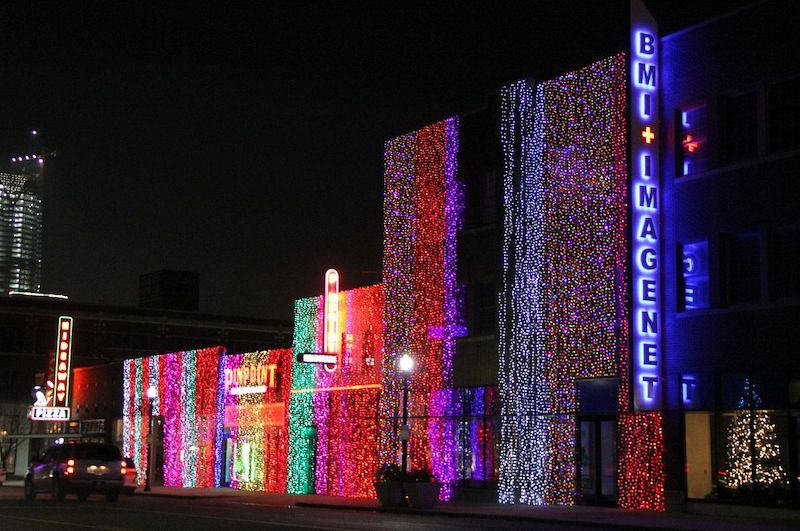 See the historic buildings of Automobile Alley in a whole new light at Automobile Alley Lights on Broadway. More than 180,000 colorful LED lights will drape the buildings along eight blocks of North Broadway making for a magical holiday wonderland. Stroll through the lights with your date for a romantic evening. November 17th, 2018 through January 1, 2019, dusk to dawn.